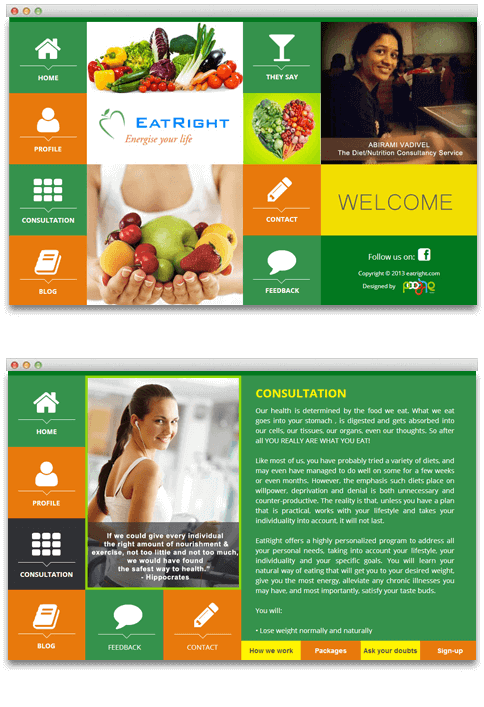 Eatrightindia.com is brainchild of Abirami Vadivelkumaar, M.Sc, CNSD, Registered Dietitian. With mission to spread awareness of balanced well being. Poogle Media had this opportunity to design their website. At Poogle, we created a colourful and styling portfolio web site design.